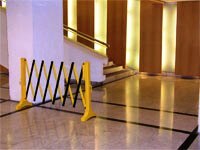 Large, heavily attended events like concerts and marathons need crowd control barricades that can be set up and disassembled quickly. 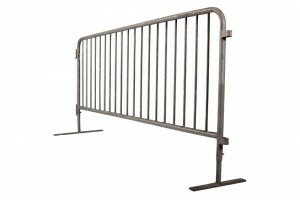 We have multiple choices of crowd control barricades for you to choose from. Not as commonly seen but also quite popular are plastic crowd control barricades. 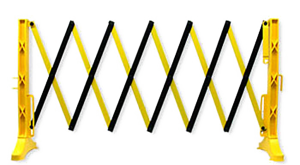 We are a dealer of both MOVIT® and MINIT™ plastic barricades. Movit® barricades are 6.6″, 29 lb one piece plastic barricades in which the feet are a molded part of the barricade. They do not move or come off which make Movit® plastic barricades a durable and sturdy choice for crowd control and containment. 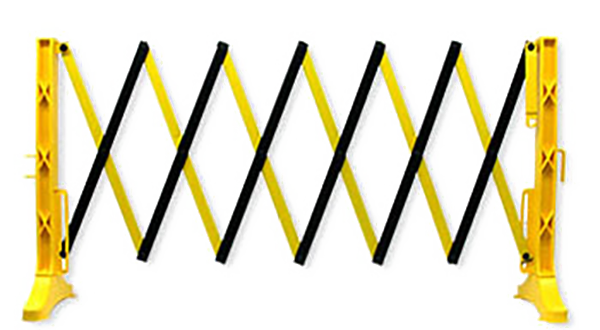 Minit™ barricades are 49″, 15 lb one piece plastic barricades in which the feet are also a molded part of the barricade. The smaller Movit™ plastic barricades will also interlock with the Movit® barricades offering you more flexibility for crowd control and containment. 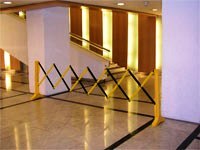 The most common crowd control barricades are the hot dipped galvanized steel barriers. We offer these in 7.5′ lengths and ship from multiple warehouses around the country for faster delivery. Steel crowd control barricades can also be powder coated in black, orange and other colors as well. Plain and custom printed and logo barricade jackets or covers are available for the steel barricades. You also need to choose between bridge foot and flat foot steel barricades. Flat foot steel barricades are ideal for smooth asphalt and concrete surfaces. Bridge foot barricades are ideal in grassy areas and where the surface may be uneven. One other thing to consider is that bridge foot steel barricades may pose a slight tripping hazard. The feet are interchangeable in case you decide to switch or utilize both options with one barricade. 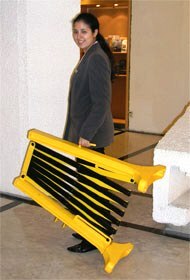 For indoor use, great for blocking elevator entrances, stairways and aisles in warehouses and retail stores. The Yellow Expandit folding barricade expands from a compact 16.5″ to a wide 11½’. For light duty indoor use: Lightweight and easy to handle and set up. 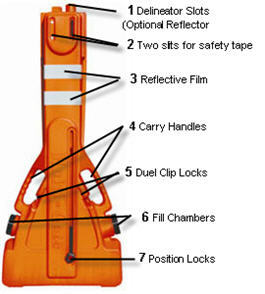 Great for blocking elevator entrances, stairways and aisles in warehouses and retail stores.